Click here to find out your FedEx zone. PLEASE DO NOT ORDER ONLINE AND THEN REQUEST RUSH SHIPPING UPGRADE. WE USE A THIRD PARTY PROCESSOR AND CAN NOT ADD TO ORDERS. WE WILL HAVE TO CANCEL YOUR ORDER OUT AND REBILL. PLEASE ORDER RUSH SHIPPING WITH THE METHOD BELOW!! Paypal Payment request – Send an email to sales@tablehockeyshop.com Tell us which item(s) you want to order and whether you want Overnight, 2 day or 3 day FedEx Express. Include your zip code and paypal email. We will send you a Paypal payment request and you simply log in and make the payment. Once order ships, tracking info will be provided. Please make sure your registered Paypal address is accurate and current. Some people move and forget to update their Paypal address. This will insure your shipment goes to the correct location. We will not be held responsible for re-routing costs if we are given wrong shipping information. Please note that prices on the chart above are based on one standard Stiga game. If you order additional teams or parts it may increase the price slightly. This is an oversized package which is reflected in the rates. For non-Stiga items, the chart above will not apply. * FedEx 2day and 3day shipments are guaranteed by 4:30 PM to businesses and by 7PM to residences. Saturday delivery – Fedex charges an additional $15 for Saturday delivery. You may be able to save this fee if you pick up at your local Fedex station. 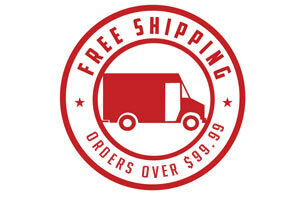 Saturday delivery is only available on Fedex 2 Day or Overnight Priority. It is not available on standard overnight. FedEx Express shipping is a guaranteed service. Please note that under the FedEx service agreement, acts of mother nature are not covered by the guarantee. We can not be held responsible for delays caused by acts of mother nature and shipping will not be refunded. FedEx Express shipping fees are non-refundable. If you chose to have your ordered shipped by FedEx Express shipping and you decide to return the merchandise, you will not be refunded shipping fees. You will be refunded the cost of the merchandise only, less a 5% re-stocking fee.